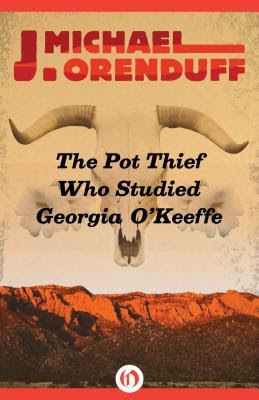 The Pot Thief Who Studied Georgia O'Keeffe by J. Michael Orenduff is the first book by the author that I have read and I was attracted towards it because of the blurb and the unusual title. I didnt like the cover much but was intrigued by the blurb and the title enough to pick up the book. The story is rich in humour, suspense and the mystery element is so beautifully handled that I sat glued to my seat throughout. The book took me places and the world building is so realistic that it felt like I was actually there, following Hubie Schuze as he scoured New Mexico in search of ancient treasures. The writing is expressive and fluid and the story is fast paced with well calculated twists to keep the reader engaged. A story with well concocted plot, developed mystery and vibrant characters, I will be reading the other books by the author in the future. All in all, The Pot Thief Who Studied Georgia O'Keeffe by J. Michael Orenduff is an entertaining book that I thoroughly enjoyed and give it 4 out of 5 stars. Recommended to all mystery lovers, go read and enjoy the book.